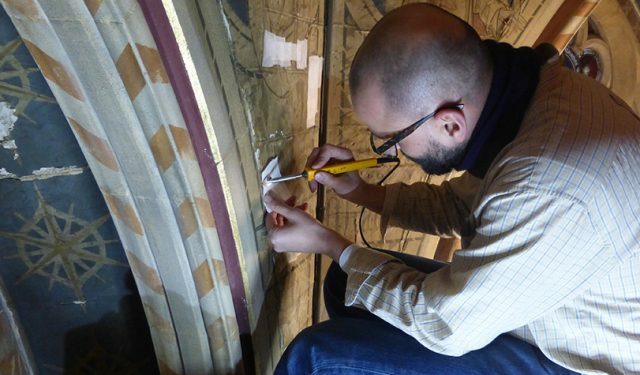 A position has arisen for a qualified and experienced conservator who specialises in the conservation of historic architecture and monuments. 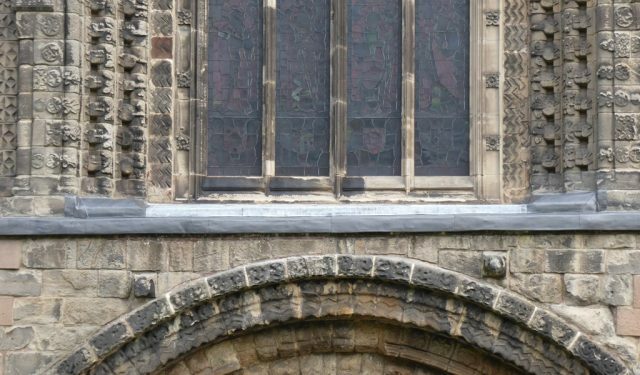 The role will be partly office-based in Lincolnshire, assisting with estimating and the preparation of tenders, as well as travelling country wide to undertake surveys, assess new opportunities and assisting with the running of current projects. The successful applicant should also be able to write comprehensive technical reports, condition surveys and treatment reports, and will be expected to have knowledge of standards of best practice within conservation treatment and documentation, in line with ethical and procedural requirements of contemporary conservation practice. 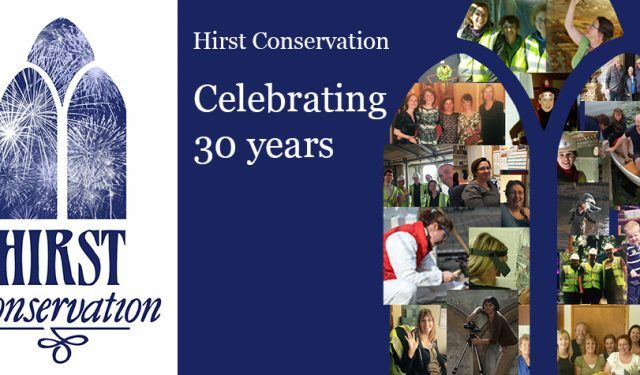 Applicants should send a CV together with a statement of their personal aspirations and outline of past experience to pa@hirst-conservation.com marking the subject box ‘Job Vacancy’. For interview be prepared to show a portfolio and to provide two references. 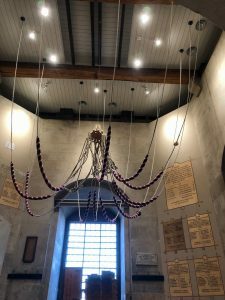 During the month of October we were busy conserving a decorated timber ceiling, recently exposed within the tower of the Holy Trinity Church. 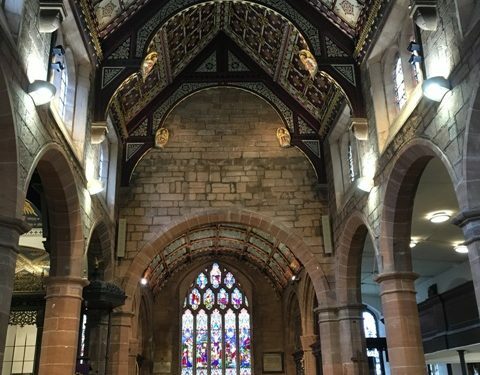 It was designed by the architect Charles Edward Bateman as one of four highly decorative ceilings, and executed in 1929 by John Wood Ltd. 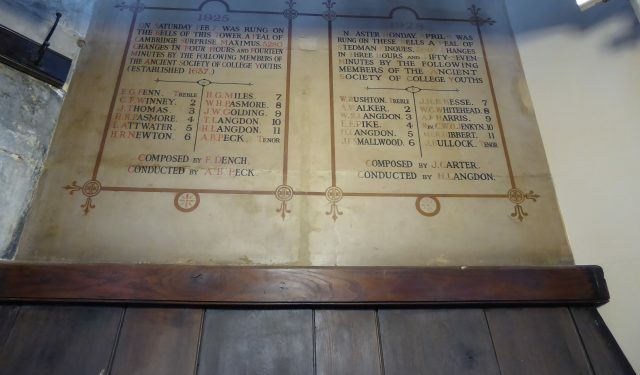 It was hidden from view by the 1950s pipe organ until the 2018 re-ordering works. 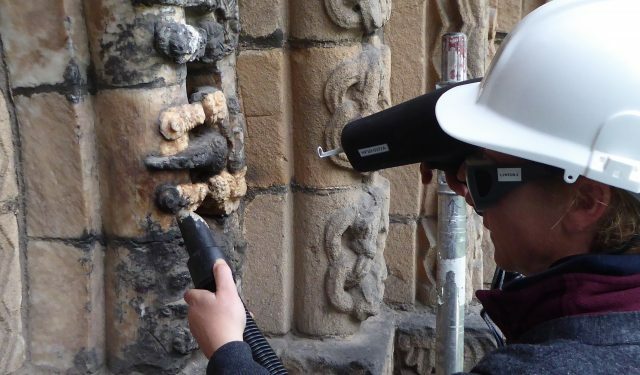 Previously reported, the phase of works to include the initial consolidation of the most friable areas of the alabaster archivolt and laser cleaning of these unique stones has now been completed. 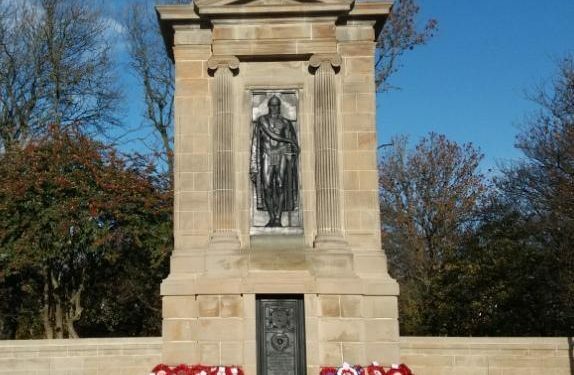 This year’s Remembrance Day is very special as it marks the 100th Anniversary of the WWI Armistice, and in honour of this we were commissioned by the Gateshead Town Council to prepare their magnificent Cenotaph prior to the 11th November celebrations. Born on 27th October 1728, this year marks the 250th anniversary of Captain Cook’s voyage of discovery, (as well as his 290th Birthday). 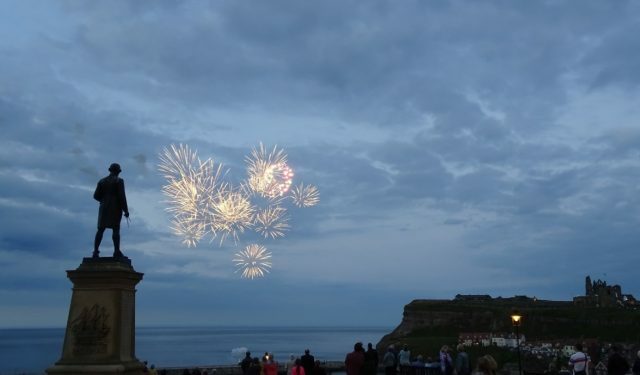 The event has been celebrated throughout the summer, and has included voyages aboard a replica of the HM Bark Endeavour, live music, street theatre, sea shanties and a firework spectacular. 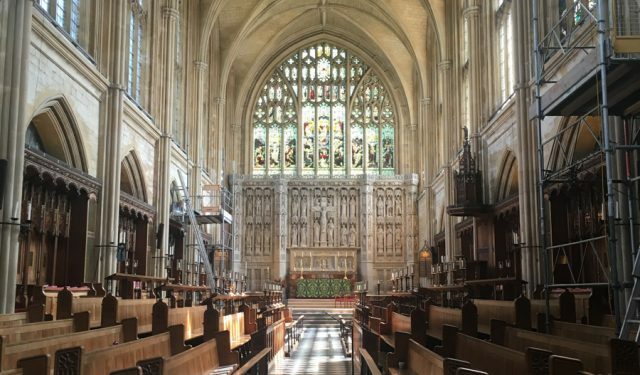 We had an exciting opportunity to work inside a unique space within St Paul’s Cathedral during the late spring and autumn. Working in liaison with Caroe Architecture Ltd. and the Cathedral’s Works Department, we undertook conservation cleaning, the stabilisation of flaking paint and the removal of an impervious gloss finish from the walls of the bell ringing chamber and to prepare a background for the new peal board to be written by the renowned London sign-writer John Farnham, which is to commemorate the 2012 London Olympics.